Too often I feel overwhelmed in my job as a mom. I feel tired, and stretched thin, and so very unprepared for this huge undertaking! Then, I remember, I’m not suppose to do this through my own strength. I’m not meant to carry the load or rely on my own wisdom. 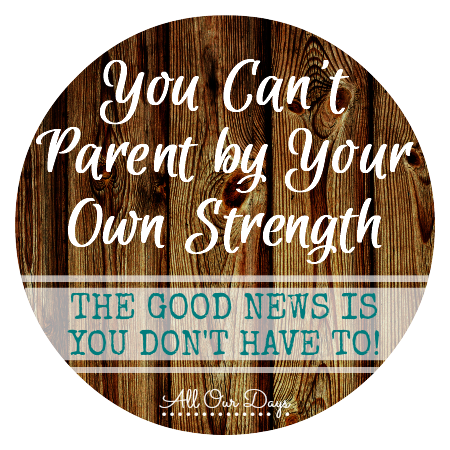 Usually, when I feel the most alone in my parenting is when I’ve failed to spend time connecting with the true source of my strength. On the other hand, when I make time to spend in God’s word, in prayer, and in communion with other believers, God blesses my often mundane days and sometimes restless nights with grace, joy, wisdom and even extra energy. Now, I’m definitely no expert on finding quiet time to spend with God. In fact, I still struggle to make it a priority a lot more often than I want to admit. However, I do know, as a busy mom, the number one, surest way for me NOT to spend time in God’s word is to make excuses. The second way to fail before I start is to commit to an unrealistic goal. I may not be able to spend an hour reading the Bible (it’s wonderful if you can! ), but I can spend 10 minutes. I may not be able to dedicate 30 minutes to memorizing scripture or listen to praise music all morning (there’s quite often enough noise in my house already), but I can read a verse I want to memorize once every morning and listen to one song to help me start my day right. Jesus Calling: Enjoying Peace in His Presence ~ Tim and I have actually been going through each day together. There is also a Jesus Calling Devotional Journal I’ve heard good things about, although I haven’t personally used it. How do you make time to connect with God each day? What resources do you find helpful? Do you have any tips for those of us who struggle in this area? I need a structured Bible study just for moms who don’t have much time. This would be so helpful! Sometimes you just need something fresh for quiet time. I’ve been using Jesus Calling but would love to switch it up a bit. Thanks! I try to remember to at least pray every morning but some days I forget. I found a great hint on pinterest to put 21 post it flags by the door or mirror and to remove one it time you complete a task. That sounds super helpful and I plan to start tonight. I’ve been wanting to read the bible more so this would really help me to do that. I have enjoyed Jesus Calling and Jesus Today and am ready for the next meaningful but not too time consuming devotional! i am looking for a good Bible Study right now….this looks very interesting! I am always drawn to Bible studies that are designed for moms, and that can be done in a short amount of time. In my season of life right now, those work the best for me. I would love to win the Bible study guide, I have been looking for a guide to help me be a better mom. With three little ones I feel my energy and patience stretched a lot of times! Right now my quiet time with God happens in the middle of the night when I’m up nursing the baby. What a great way to use that time! I have just begun to get out of bed a wee bit before the noise and am rush to share a cup of coffee with God. Boy I am so blessed by those few precious minutes. I’ve been trying to get up a little earlier than the kids too. Also if older ones get up, I tell them to stay in their rooms for a little while. That definitely makes quiet time more doable. No matter what stage of life I have been in, I have discovered I cannot do it in my own strength. I try to spend the first hour of my morning with my devotional, Bible & a few cups of coffee 🙂 It tends to put me in the right frame of mind to face the day. Glad to have been your neighbor at Give Me Grace. May you have a great week! I find I really need to be in God’s word first thing in the morning as well. Otherwise, I loose traction very quickly and spend the rest of the day reacting and spinning my wheels. I would love this to teach my kids more about God . This would be perfect for helping to guide them in the right directions. 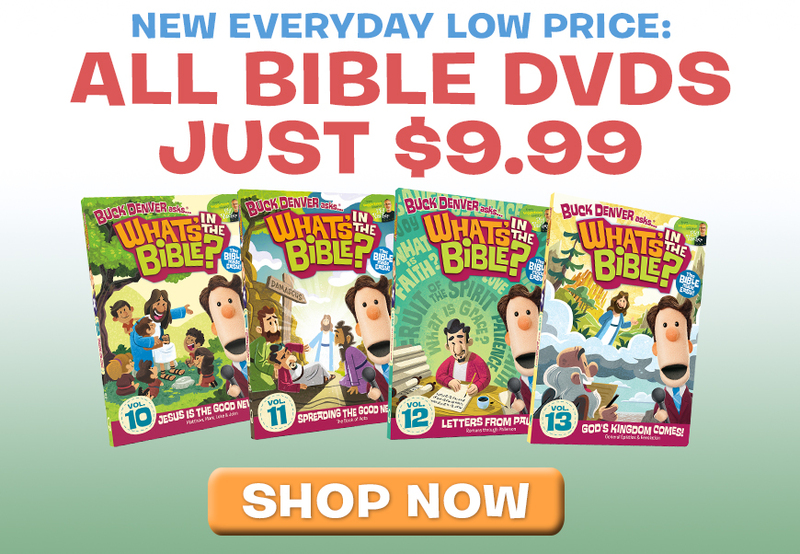 This would be perfect to help you draw closer to God so you can lead your little ones to him. I really enjoy Jesus Calling. Life doesn’t get easier when the littles grow up and become teens and adults (as mine are). I still need Jesus, even more so. Thanks for linking up with The Weekend Brew! You are so right, we need Jesus every day and in every season. I have been trying to parent by my own strength and could really use a tool to aid me in drawing near to God. Blessed to be your neighbor at The Weekend Brew today. I certainly understand the difficulty in making that quiet time where you center yourself on God to start your day. You can be a busy mom or an empty nester but it is a habit that you need to make a priority. Happy Sunday! Thanks for the reminder that time with God needs to be intention in every season of life.